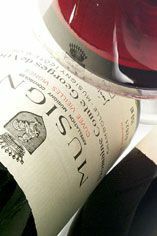 The Wine Advocate - My notes on the 2005 Musigny Vieilles Vignes represent a composite impression from a selection of barrels. There can be little question that this deep, dark wine displays its class of origin, indeed a class of its own in this years collection. Fresh black raspberry, pomegranate, blackberry, and iris dominate the nose and stain the palate. A wealth of spice, mineral, chalky and bitter-sweet floral nuances persistently wreath the fruit at all stages. 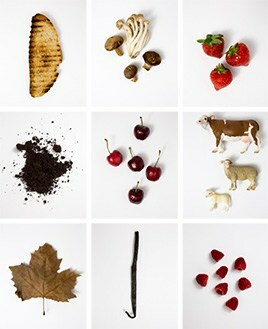 This shows lovely creaminess of texture in counterpoint to the persistent freshness of fruit. The intensely rich yet refreshing palate saturation and tenacious cling exhibited auger well for extended cellaring yet dont detract from an impression of utmost elegance and refinement. The domaine will begin bottling the wines in spring and all will, as usual, receive the minimum, gentlest possible filtration. Burghound - Prepare to be transported. A positively brilliant nose of violet and rose petal shines against a background of intensely spiced extravagant red and black pinot fruit nuanced by hints of earth and stone and this minerality continues onto the surprisingly supple flavors that convey a remarkable sense of energy and power on the almost unbelievably intense, focused and structured finish that seems to go on and on without end. And the '05 Vielles Vignes has what all truly great burgundies have which is that extra dimension of power without weight as this carries terrific punch and power yet delivers that explosiveness with impeccable class and grace. While I am duly mindful of the many legendary wines this domaine has produced (see the database for all vintages reviewed dating to 1919), the 2005 could very well join the list of the all time greats, there is really that much potential here. Whether it will ultimately transcend the heights achieved by the 1919 or the 1949 (among many others) remains an open question, I have zero doubt that 2005 will be a genuinely great vintage for this wine. Brilliance personified and absolutely a 'wow' wine, in fact, this merits a double 'wow'.